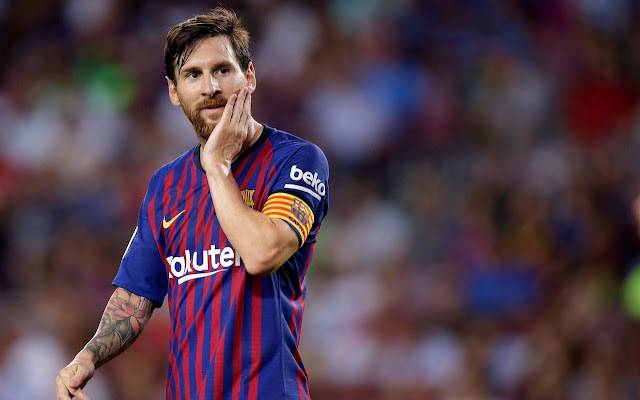 Lionel Messi has been snubbed from Fifa’s three-man shortlist for its Player of the Year award for the first time in 12 years. Cristiano Ronaldo, Luka Modric and Mohamed Salah made the cut ahead of the Argentina captain, who fired Barcelona to a domestic double last season. Peter Schmeichel tipped Modric, the World Cup Golden Ball winner, to win the award at the unveiling of the nominations in London. “I think we have a new winner this year," said the former Manchester United goalkeeper. “I think his performances were fantastic. Rightly so he got best player at the World Cup and I fully expect him to win this.” Mo Salah does make the shortlist after a phenomenal year for Liverpool Mo Salah does make the shortlist after a phenomenal year for Liverpool. Schmeichel's son Kasper was shortlisted alongside Hugo Lloris and Thibaut Courtois for this year's award for best goalkeeper. Messi misses out on the final three for the overall player of the year for the first time since 2006. He was part of the initial top 10 nominees, with Kevin De Bruyne, Raphael Varane, Antoine Greizmann, Eden Hazard, Harry Kane and Kylian Mbappe joining him in failing to make the cut. Ronaldo and Modric are rewarded for helping Real Madrid to a fourth Champions League title in five seasons, with the latter inspiring Croatia to a first World Cup final. Modric won best player at last week's Champions League awards, which Ronaldo failed to attend. Liverpool’s Salah scored 32 goals to pip Harry Kane to the Premier League golden boot, while he also led Egypt to a first World Cup appearance since 1990 before a shoulder injury prevented him from hitting peak form in Russia. Brazilian forward Marta, of Orlando Pride, and Ada Hegerberg and Dzsenifer Marozsan (both Lyon) and are up for the women’s award. Lyon clinched the Champions League with Hegerberg finishing as the tournament's top scorer with a record 15 goals, while Marta is chasing a sixth individual title. The winners will be announced at a ceremony in London on September 24. Zinedine Zidane will contest the Men’s Coach Award with fellow Frenchman Didier Deschamps and Croatia boss Zlatko Dalic. Zidane oversaw Real Madrid's Champions League success, although he stood down five days later, while Deschamps edged Dalic as France lifted the World Cup.